QR codes are 2 dimensional codes that have gained popularity and notability not only in the USA, but also in many other countries from around the globe. They are also user-friendly. A QR code stores much information and this information can be scanned easily and stored in any Smartphone. Many businesses have seen the benefits of using these codes as a way of marketing themselves. Others use qr codes to attract customers and potentials to their websites where they are able to get more information about the business or company and the services or products it offers. So how does one generate qr code? Select the QR Code type you want: This is where you get to decide what you would like the qr code to do for you. Do you want it to create an extra mobile page or enter an existing URL? Design your qr code: Here, you get to give your qr code a look that best suits your brand image. You can upload an image or use template designs. Print the qr code: Next, you get to print your qr code on the materials your business uses for marketing. That way, you can start to engage with customers. Manage the campaign: Occasionally manage and track the qr code performance. 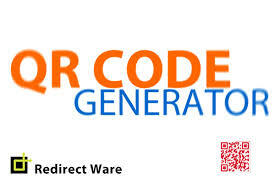 Open the qr code scanner from your Smartphone. Next, face the camera lens on the barcode and it will automatically scan until it gives you results. The duration a qr code scanner takes to give results varies.